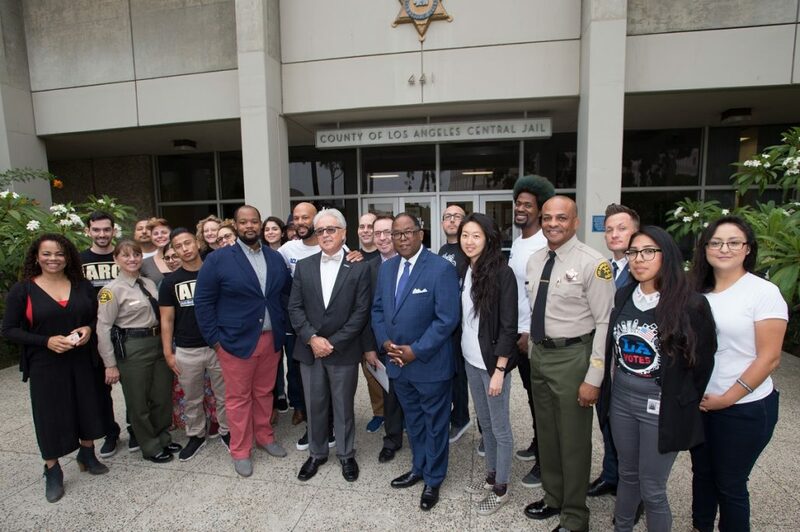 Los Angeles County Supervisor Mark Ridley-Thomas stood on the steps of Men’s Central Jail with rapper and activist “Common” and representatives from the Los Angeles County Sheriff’s Department, Los Angeles County Registrar-Recorder/County Clerk, Office of Diversion and Reentry, American Civil Liberties Union, and Los Angeles Regional Reentry Partnership to promote voter registration for justice-involved individuals. 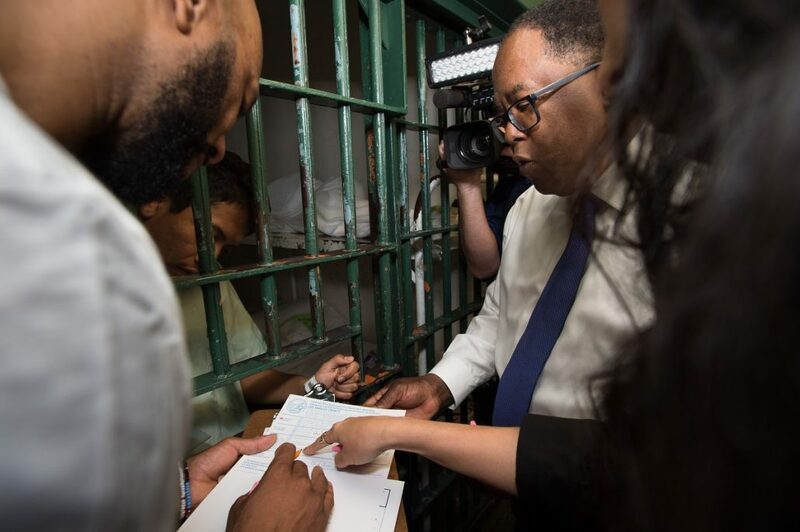 In honor of National Voter Registration Day, Supervisor Ridley-Thomas promoted the recent launch of a campaign to bring voter awareness to incarcerated individuals called “L.A. 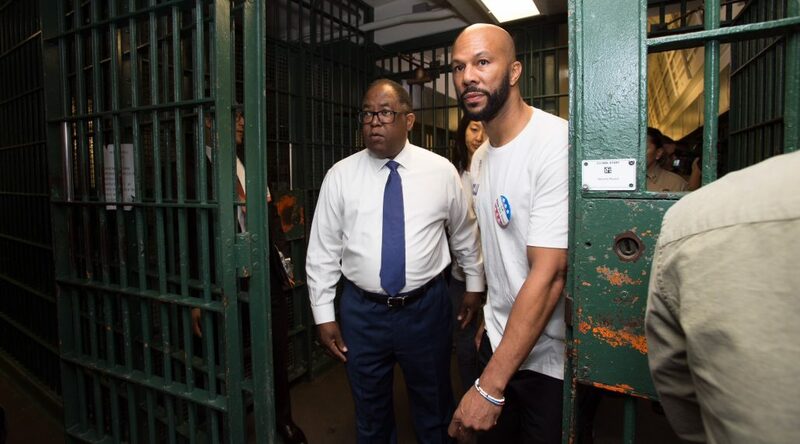 Free the Vote”, followed by a voter registration drive inside the jail. The motion to officially dedicate Tuesday, September 25, 2018 to voter registration in Los Angeles County was authored by Supervisor Ridley-Thomas. Together, he and Supervisor Sheila Kuehl, created the Voter Engagement Taskforce for Justice-Involved Populations, directed at increasing voter education and registration to justice-involved communities. Their L.A. Free the Vote work aims to register as many justice involved individuals as possible by the November 2018 election. “The right to vote is fundamental to our democracy, yet more than one million eligible citizens in Los Angeles County have not registered to vote,” said Supervisor Mark Ridley-Thomas. “I think the vote is one of the first steps that we can do as people in this country to show that we care and people have made mistakes, but we’re still reaching out for them. That’s what America is supposed to be about,” said rapper, activist and Selma cast member. 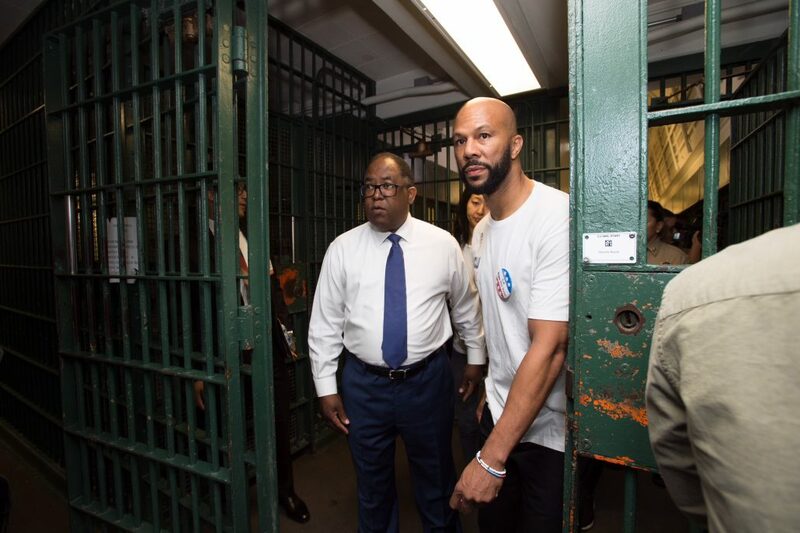 After the news conference, volunteers and representatives went inside Men’s Central Jail to register incarcerated voters. They walked the rows, providing inmates with information on the voting registration process and giving them the opportunity to register for November’s election.